Three exclusive Big Nate paperbacks by Lincoln Peirce in one box! Big Nate, a New York Times bestselling series, is bigger than ever in this awesome box set. 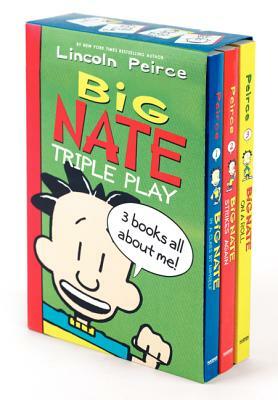 This Triple Play box set includes Big Nate: In a Class by Himself, Big Nate Strikes Again, and Big Nate on a Roll. These books are available in paperback only in Big Nate Triple Play! Discover the three books that started Nate's crazy novel adventures! Diary of a Wimpy Kid author Jeff Kinney says, "Big Nate is funny, big time!"